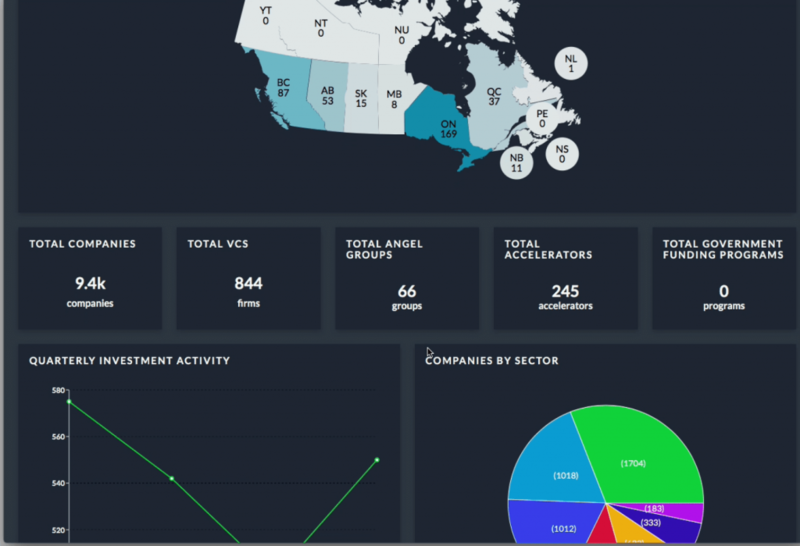 Toronto-based Hockeystick has released a database with information on over 8,000 Canadian startups and investors. The free database includes almost 7,000 companies and over 1,000 active funders, such as angel groups, accelerators, government programs, venture capital firms, and private equity funds. Luk said the model of selling other people’s data is “outdated,” and the reason for the current data gap in private capital markets. He hopes that with the company’s open data approach, they can help more companies grow in the ecosystem. Hockeystick announced a partnership with the Lazaridis Institute in April 2017 to build a “scale-up platform” for Canada’s innovation economy — including incubators, accelerators, and startups — to share research data. The Canadian government gave $2.5 million to the Lazaridis Institute to support the creation of the platform. The data in Hockeystick’s database is provided by public sources including government open data, company and fund websites, press releases, and direct contributions. Luk said that part of the challenge of building an open data platform is trying to convince stakeholders of the benefits of open business data in the first place. Silos at the provincial and federal government levels also make things difficult. “Startups inherently get open data because they know there’s no such thing as a successful startup in stealth mode. All the people building and hoarding proprietary databases should take notice,” he said. Hockeystick will be adding new features like APIs and enhanced fundraising searches, tools for secure data management, and dashboards with real-time insights into the tech ecosystem. Partnerships like the one it already has with the CVCA are also in the pipeline. “We just signed an agreement with the Angel Capital Association, the largest angel association in the world. So we’ll be adding deal data for over $20 billion in angel investments into Hockeystick,” Luk said.